La Vie En Rouge Pearl Garance 13823 12 by French General for Moda Fabrics. This collection is full of rich reds, dark maroon, cream, tan, and a pearl. Vintage French-inspired florals, vines, and stripes in classic French General colors...a wonderful range to add to your French General collection. 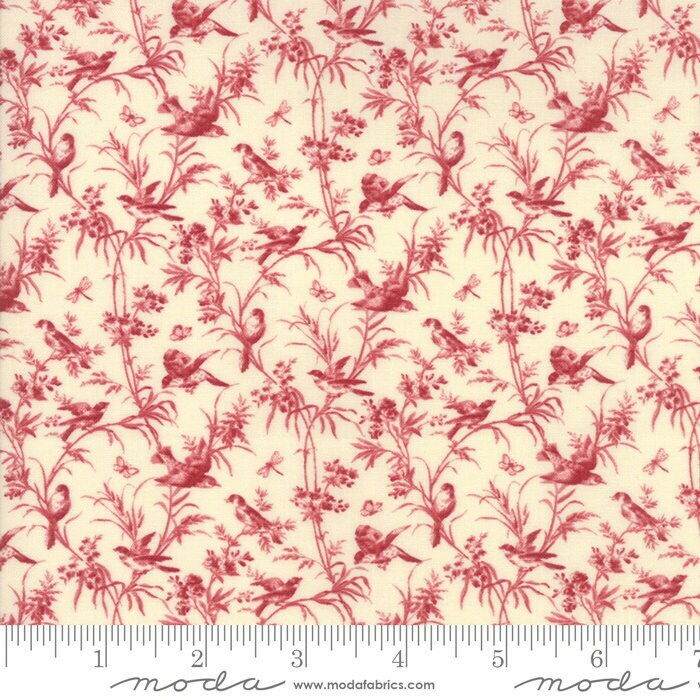 La Vie En Rouge was designed by French General for moda fabrics.